Clean lines and masterful craftsmanship mark the essence of Edinburgh-based label Strathberry, as showcased in this Midi leather tote. Staying iconic with the gold-tone bar closure, this carrier is colourblocked to inject a pop of colour to your daily sets. 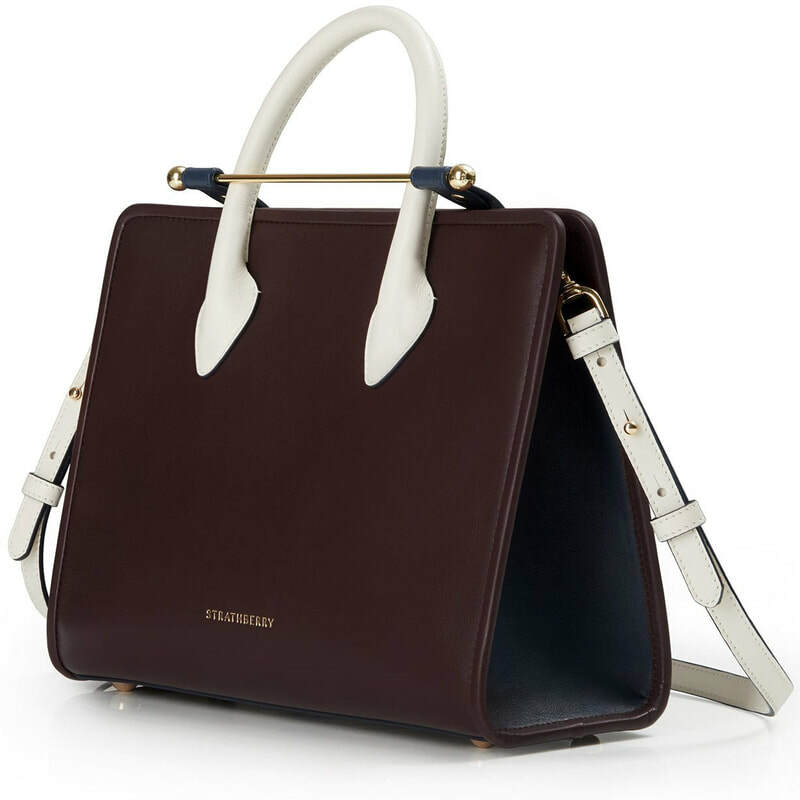 Strathberry is a luxury handbag label combines clean lines and the highest quality materials. Founded in Edinburgh, Scotland in 2013, the brand is known for its signature bar closure, which is crafted, and fastened to every product, by hand. Each handbag takes 20 hours to create by the finest artisans in Spain.